Here the sitch, last year I had to replace my rear summer tires due to a bad puncture but I didn’t have the time to wait to get a set I would have really wanted. So, my rears are Nitto NT555 (I think) but my fronts are still Goodyear Eagle F1. 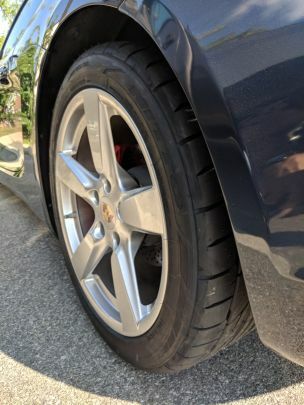 Different tires aren’t a problem for normal driving I know, but one of the fronts is pretty far gone (probably a bad alignment huh? ugh) so I need to replace those for this summer. I’m planning to go to the track and some autocross if that matters. So, it’s actually really difficult to find the right size Nitto NT555 pair for my fronts. And, I just don’t have that much time to devote to it. Is it a big deal to replace the fronts with tires that are similarly rated to the Nittos? Oh also, the rears have only 2 months on them and I got them after any driving events from last summer.